We’ve received a lot of feedback from our UK and US users saying they got a kick out of using these feature updates, so we decided to allow all our users to take advantage of them. 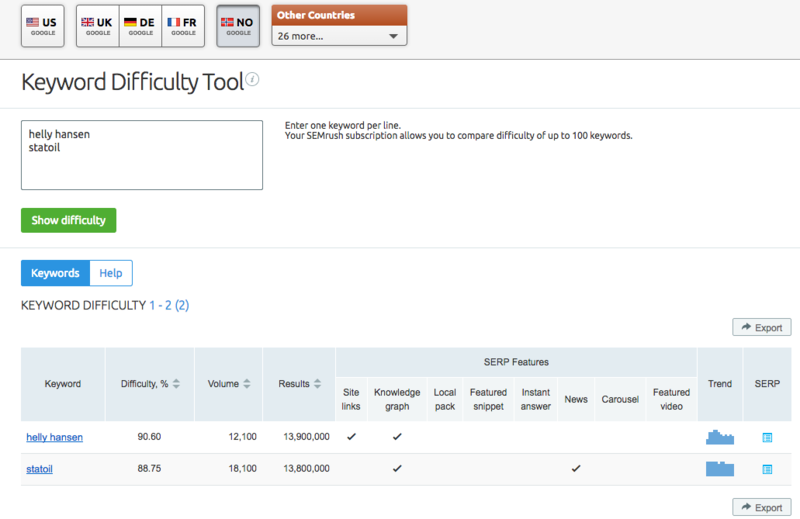 SERP Features and Keyword Difficulty column are now available in all SEMrush databases. 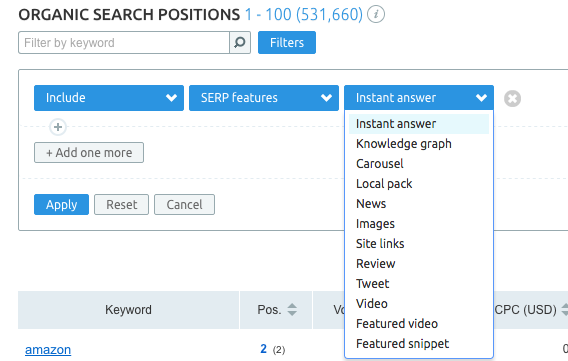 The SERP features widget allows you to see if any special search engine results are displayed by Google for keywords you or your competitor is ranking for. You can also see the percentage of keywords that triggers each SERP feature to show up in search results, along with information on whether those Google features include a link to the analyzed domain. You can filter the results by excluding/including keywords contained in a certain type of SERP feature - a knowledge graph, for example. Since SERP features are the first webpage elements to draw a user's attention, competing with them can be challenging. That's why being aware of various features found in SERPs will help you discover the best way to cover more ground and improve your rankings. 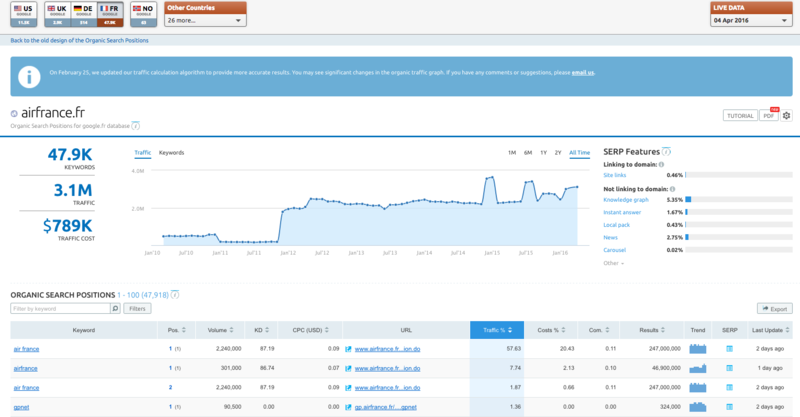 This is how the SERP Features component is presented in our Keyword Difficulty tool interface for all our databases. This particular screenshot displays results for specific keywords found within the Norwegian database. The Keyword Difficulty column provides you with an estimate of how difficult it would be to seize competitors' positions in the Google or Bing top 20 with a particular keyword. The higher the percentage, the more effort you’ll need to outrank your competition for each targeted keyword. By sorting results according to difficulty in ascending or descending order, you can decide which keywords are worth targeting and which ones are too ambitious to target. Also, by estimating various keywords' level of difficulty, you can decide which ones will require the most time and effort to get high rankings for. Let us know how you like these updates by sending us an email at [email protected]. 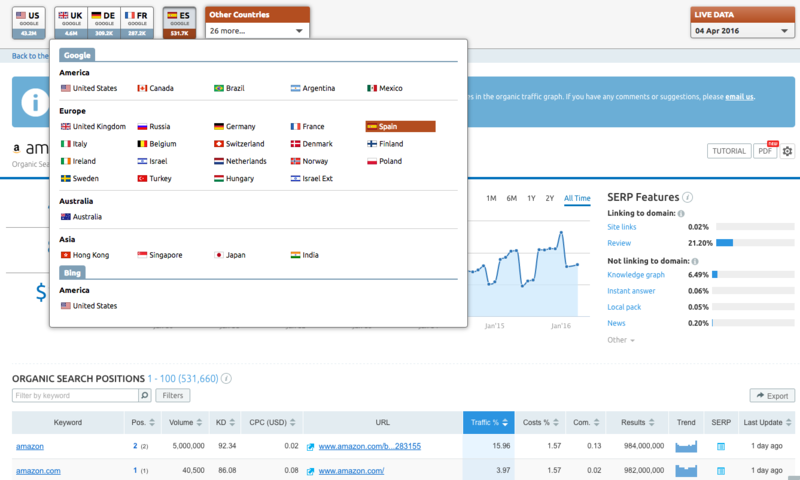 Thank you for helping us make SEMrush better!